Cleaning the house and cleaning my heart have some things in common. Get rid of things that are rotten or outdated. When I was cleaning out the pantry today, I found a baggie of something I couldn't even identify. EWWW! That was an easy one to toss in the trash. But then, I found an unopened bottle of Tobasco sauce that was past its expiration date. Does Tobasco sauce really go bad? I reluctantly threw it out, regretting the waste. As I yield to God's work within my heart I know that unforgiveness or bitterness is rottenness to my inner well being. 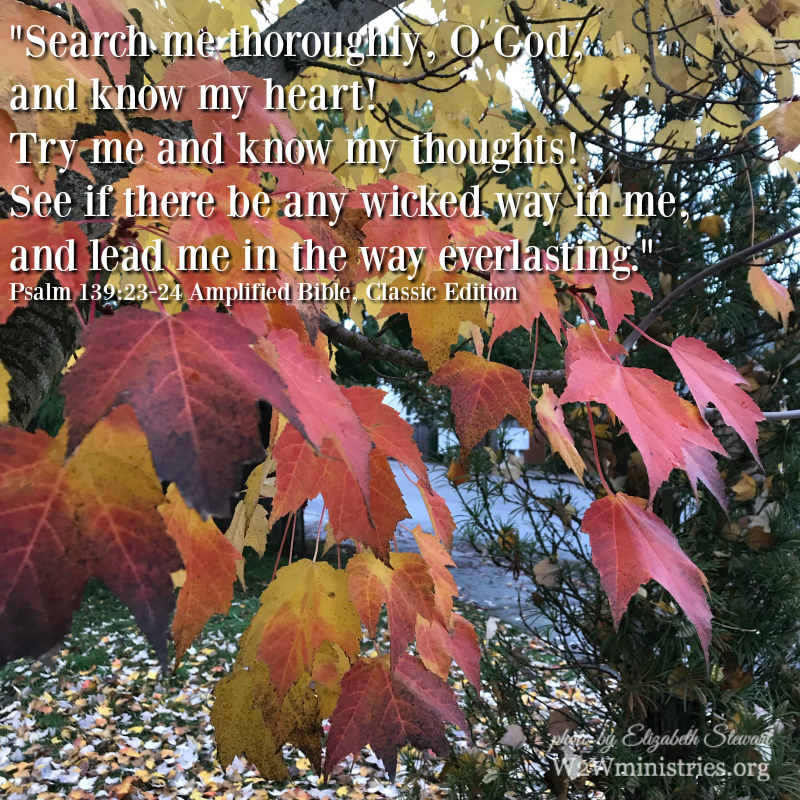 It's a pretty obvious thing that I know I must yield to God and allow Him to throw out. But, there are other more subtle issues that I can rationalize holding on to. Like that past its expiration date bottle of Tobasco sauce, I can convince myself that it can't be that bad to hold on to. Yielding and surrendering to God, even in those sort of things, has resulted in a new level of freedom, rest and peace within. Get rid of things that are no longer needed. As I cleaned out cupboards and drawers I also found some perfectly good items that I no longer used or needed. There was nothing wrong with them, but getting rid of them freed up some storage space. It was time to let them go. During this year of yielding to God, He has helped me to let go of some things, in order to free up some space for some new things He has for me. It's all too easy to hold on to old things, old wrong mindsets and yesterday's old obligations. It's liberating to let go and make room for God to do a new thing! When spring comes around, you'll find me doing another deep cleaning. I'll empty out those same cupboards and drawers that I cleaned out today and clean them again. Mess accumulates. Cleaning is a continual process. In my home and in my heart. Oh this is absolutely one of my very favorite verses. I love the way it cleanses my heart and my soul. I love the comparison you make between cleaning house and cleaning our hearts of the messes that accumulate. I sometimes think this is one of those dangerous prayers - maybe it's hard and painful to get rid of those things that the Holy Spirit points out - but necessary for me to stay in God's will.